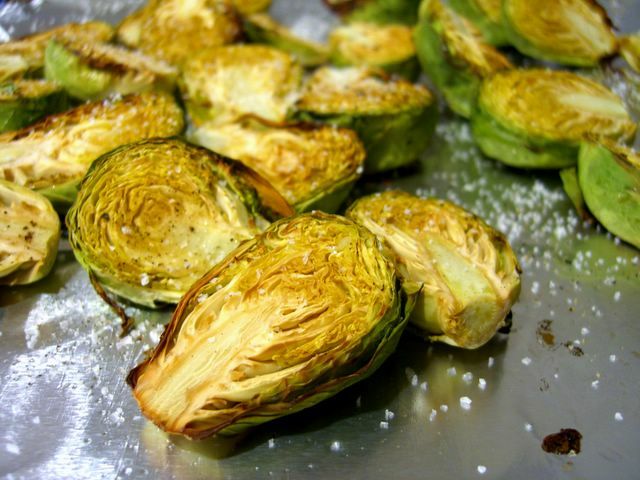 Who knew that brussel sprouts could be so delicious? In fairness, I know that lots of people enjoy these little green veggies, but I think that we can all agree that they are not the most universally popular food. Until fairly recently, I hadn’t eaten sprouts in years. They didn’t appear all that often on menus and I never really thought to purchase them. I remembered having them once or twice as a child – both times when they were doused in butter and parmesan cheese – and liking them well enough, but what doesn’t taste good when covered in cheese? Since I have gotten into the habit of roasting a great number of vegetables, I figured that I would try brussel sprouts that way. Once I popped one of the crispy, tender sprouts into my mouth, warm from the oven, I realised that I would never resort to the cheese trick again. Brussel sprouts taste a bit like cabbage, but have a less assertive flavor. It is at once enhanced and softened by the roasting. I think that salt and pepper is all you need for these, but a little dressing to dip them in wouldn’t hurt anything, either. This recipe will work with any amount of brussel sprouts. Toss sprouts in a little bit of olive oil and add salt and pepper, to taste. Spread cut side up in a single layer on a foil-lined baking sheet. Bake 400F for 30-40 minutes, until browned. Serve immediately, or store in the fridge for lunch the next day. It took me several years before I could convince my husband to try brussel sprouts. He had (Bad) memories of his mother’s sprouts that were boiled within an inch of their lives then doused with vinegar. No wonder the poor guy shivered whenever I mentioned them. I finally convinced him to let me make them my way and now he loves them. This is the link to my post on how I make my sprouts. They’re also really, really good sautÃ©ed in olive oil and garlic, with or without bacon. Roasted brussels are my favorite way to have them! I first learned to roast brussels sprouts this way from Ina Garten and it has become one of our very favorite vegetable recipes. But beware: It’s really easy to keep popping them into your mouth and to overindulge. And you KNOW what happens when you eat too much cabbage!! I’ve always just steamed mine, but since I really love roasted veggies, this looks like a great way to fix ’em. Yum! count me with the brussels sprouts lovers! i’ll definitely try your crispy roasted sprouts. My husband has been begging for Brussel Sprouts. I will have to try these now. A good addition before serving is a light dressing of freshly squeezed orange juice and rice wine vinegar. It does not take much. That and a dash of black pepper will do ya. If you’re serving for a fancy to-do, add some slivers of fresh orange peel. Mmmm. This is a Thanksgiving staple. Now if we could only grow them! Mmmmm … Sprouts! Absolutely my favourite way of preparing and eating brussel sprout. They look fantastic! I absolutely love brussel sprouts this way – and if I may, here’s another suggestion. My mom (the person who convinced me that brussel sprouts were wonderful using this method) puts the sprouts in a casserole dish, tossed with olive oil, salt, pepper, and rosemary, and bakes them with the lid on so they get very tender first. Then she roasts them with the lid off at the end so they get crispy and brown on the outside. Either way you make them, the addition of the rosemary is just wonderful. By the way, I’ve been baking the Honey & Saffron Loaf for months now, and it’s been one of my most favorite things to eat. I discovered this ridiculously overpriced but ridiculously delicious/addictive butter (fresh French butter with Brittany sea salt) at a local market and hooooo boy – on top of that bread? Then, if you want to dessert it up, put a little of my friend’s homemade jam. I could live on that. In fact, I kind of did for a few weeks. And now I’m off to try your Honey Buttermilk Bread recipe! I just finished eating your yummy baked brussel sprouts. My hubby had just complained that I never fix them for him when you posted that recipe. Growing up I always had them frozen, then steamed. YUCK! 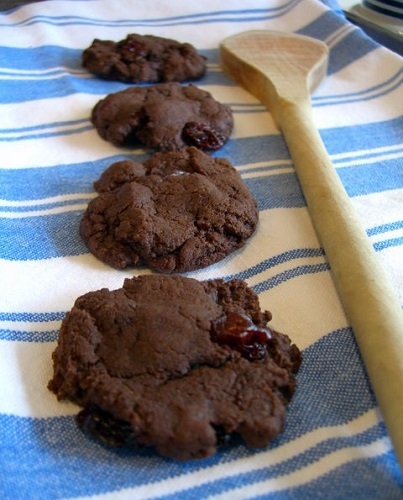 Using fresh ones and baking lends such a different taste. Love them, love them and we will definitely have them again. Thanks!